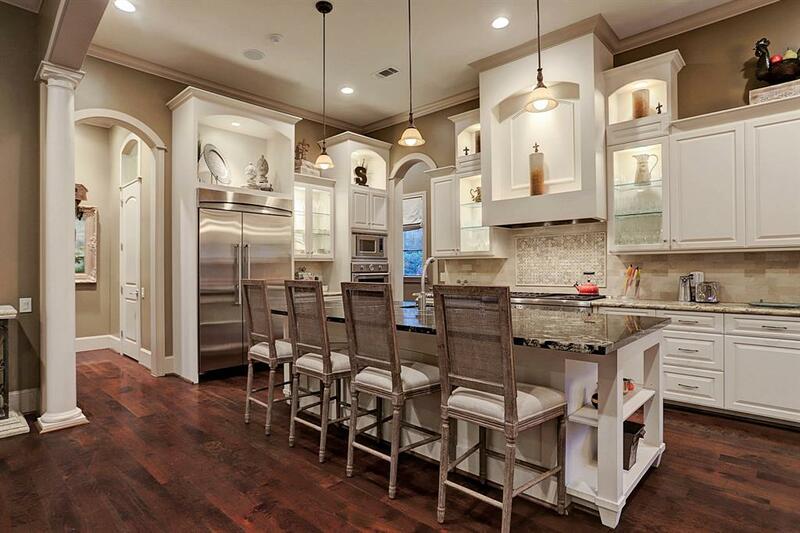 Dry in Harvey!Elegant Mediterranean,beautifully maintained recent construction located in one of Houstonâ€™s finest Neighborhoods,Old Braeswood.This gorgeous home is filled with amenities on almost 14,000 sq.ft. Lot Featuring mature trees,lush landscaping. Interior: 5â€ red oak hardwood & natural stone flooring, granite&marble surfaces, soaring ceilings.Spacious living areas include both formals,Butlerâ€™s pantry, impressive bar w/temperature controlled wine room.Chefâ€™s kitchen,Thermador appliances,enormous island with beautiful single slab granite that is open to the sumptuous family rm.Richly appointed 1st floor master suite w/entrance to outdoor sunroom.Lavish spa inspired master bath w/colossal master closet. Impressive sunroom∑mer kitchen, massive fireplace and commercial grade accordion doors that open up to the harmonious spa pool with water&fire features.2nd floor w/four bedrooms all with private baths,well appointed game/media room and craft room.3 car garage, mud room and more! 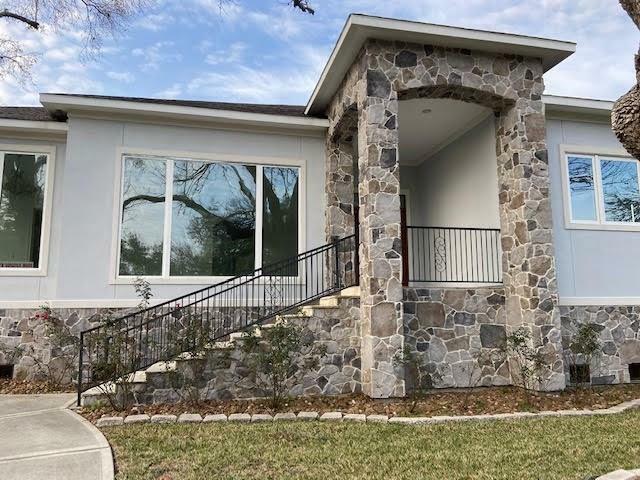 Located directly across from Braeswood Park in Old Braeswood, this oversized 19,854 square foot corner lot is a premier site for an exceptional new construction home. 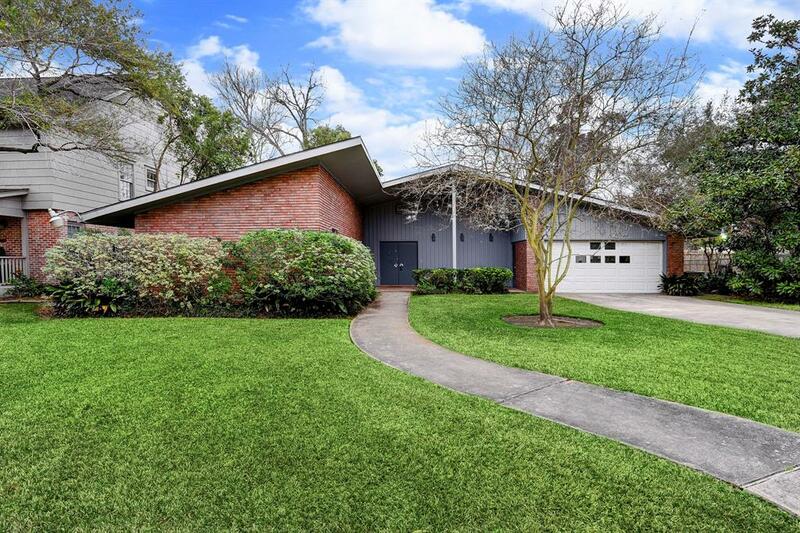 The existing Mid-Century house is a sprawling one story ranch with a split bedroom floor plan. The living / dining room has a high ceiling and a wall of windows overlooking the large back yard and pool, but the value is in the land. The Texas Medical Center, Rice University, and the NRG Center are all very nearby. 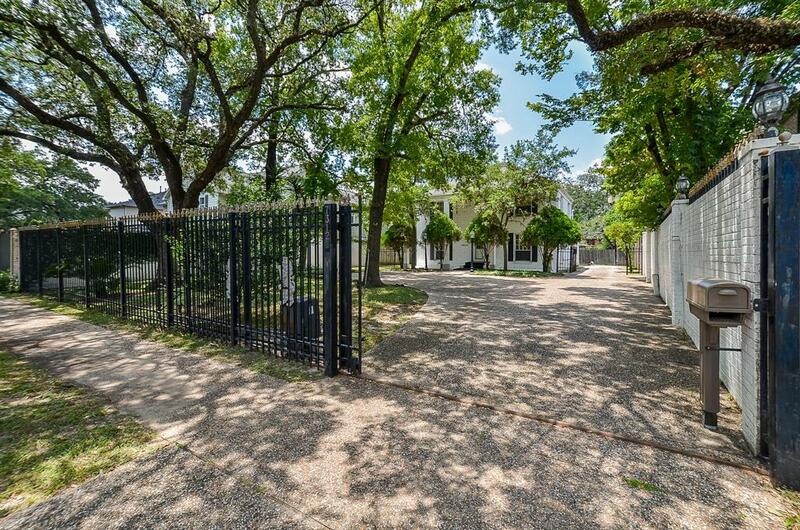 Old Braeswood is a sought-after residential neighborhood with large lots and tree-lined streets. 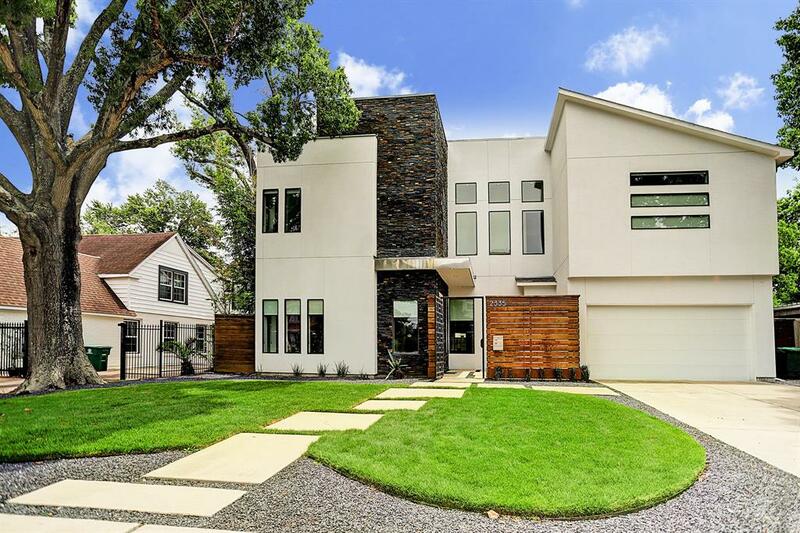 Built in 2011, this incredible contemporary property gleams with natural light and has tons of room both inside and out! Stunning concrete floors downstairs and 11 foot ceilings, open living and kitchen areas with a special room located off the living room (perfect for a study or kids play room), which opens to the covered patio. Backyard is fully fenced, with TWO grills, lots of grass (and room for a large pool! ), sitting space and room to spare. Definitely the perfect space to entertain all year round! Upstairs, five bedrooms all with their own unique windows allowing light without the sacrifice of privacy. Wood floors in the common areas and plush carpet in the bedrooms. Master suite with sizable tub and walk in shower, two sinks and an amazing multi-level closet. Private master balcony overlooking the backyard. 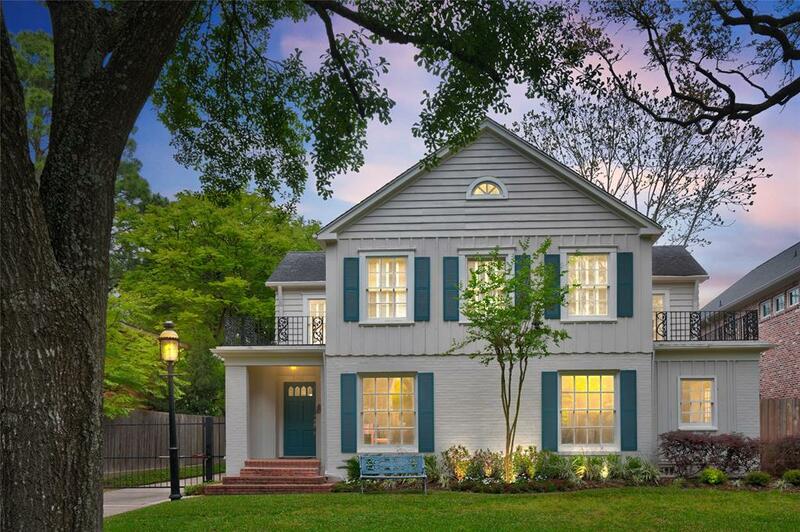 Classic home w/expansion & current updates in desirable Old Braeswood. 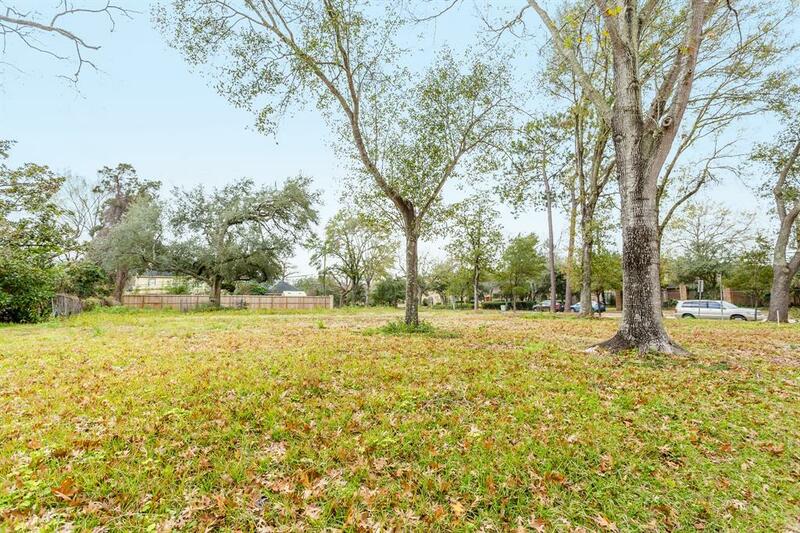 Perfectly situated on a large lot near Old Braeswood park. 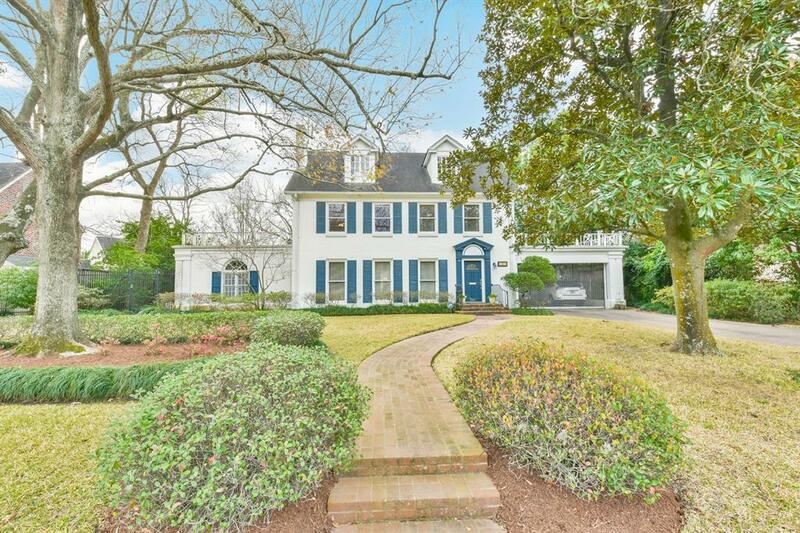 Home features hardwoods floors w/marble floors in baths, welcoming entry hall, expansive living spaces -- formal living, formal dining, study, bkfst room, family room & centrally located kitchen open to multiple spaces. Utility/mud room on 1st floor. Upstairs offers 3 beds & 2 updated baths. Master suite has 2 closets & bath w/double sinks. Finished 3rd floor as gameroom (not included in sq ft). Tankless hot water heater. Plumbing replaced w/PEX. Wood burning fireplace & another mock fireplace w/marble surround. Large backyard w/newer garage. Electric gate across driveway. Ring doorbell & cameras installed front & back. All these features +++ in ideal location close to Med Center, Rice U/Village, Downtown, Greenway & more. Zoned to sought after Roberts Elem. Per seller, home has not flooded. Original plans for the home are framed in the house! Welcome to your special happy place! This home is a rebuild & as such it did not flood during Harvey. During the rebuild, the owner was smart enough to have the entire property raised six feet. As you enter the home from the marble front porch & beautiful mahogany door, you will find clean lines with marble floors,granite counters throughout. Entering the formal living/dining combination area, you will see floor to ceiling windows with a beautiful view of the bayou. The kitchen is open to the family room with a stone fireplace, built-in shelves, & a bright sun room. The master is quite large & offers a lovely serene bathroom, walkin closet with a "secret" closet inside. There are two bedrooms in the front of the house with a beautiful bathroom between them. Just next to those bedrooms is a staircase to the game room or extra room to be used as you choose. On the other side of the house is a guest room with private bath, a large laundry room, & staircase to the backyard sparkling pool. Great location! 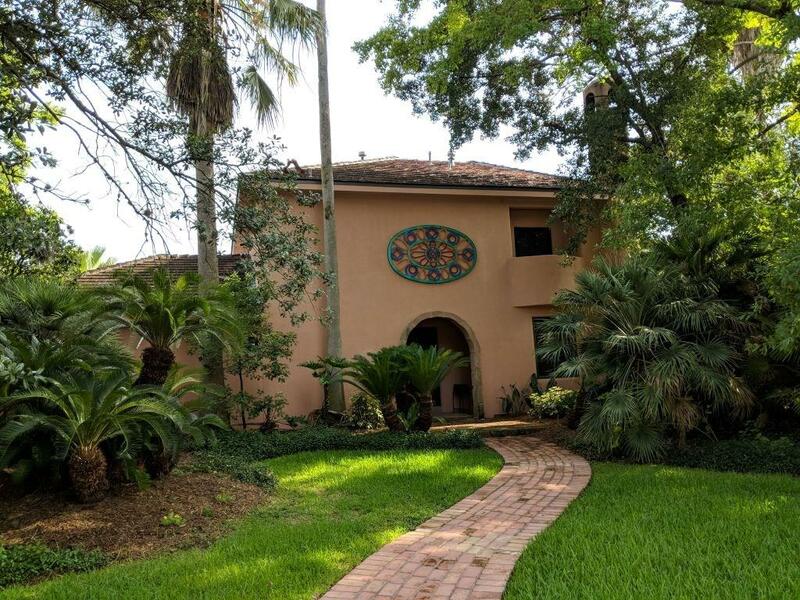 Close to the Medical Center, Museum District, Hermann Park, Houston Zoo, and award winning restaurants and shops! Per seller, home has NEVER flooded, including during Harvey. Spacious home with a large living room and den, original hardwood floors, granite countertops in the kitchen and a double oven. The property sits on a large lot and includes an automatic gate. Per seller, the house may need some repairs, but you can live it now and build later. Home sold AS IS. 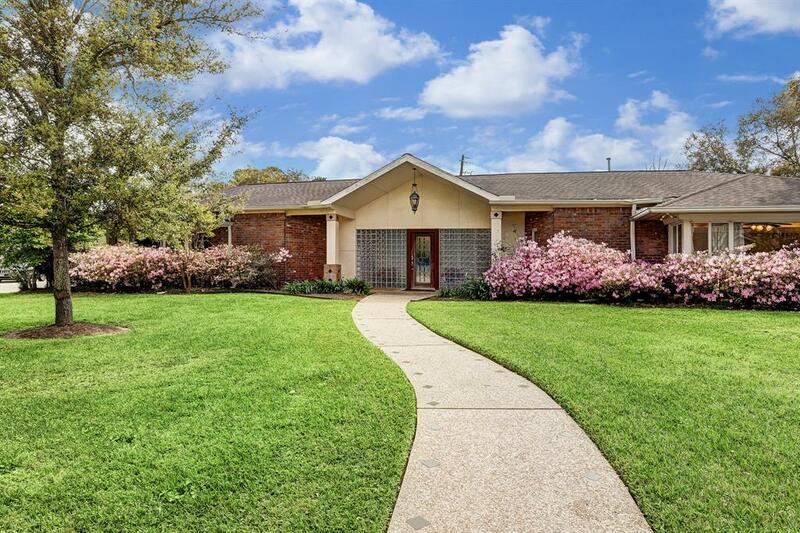 This is a great opportunity to own a home in the beautiful Braeswood neighborhood!